The country says continued financing depends on Ukraine's ability to implement reforms. Norway is providing 40m kroner (4.7m dollars) in humanitarian assistance to people in need because of the Donbas war, the Norwegian embassy in Ukraine has said on its website. State Secretary in the Ministry of Foreign Affairs Tore Hattrem will hand the money over during his visit to Kiev. "The humanitarian situation in parts of Ukraine is serious. Five million people are in need of humanitarian assistance, including some 1.5 million internally displaced people. Children and the elderly are particularly vulnerable in the cold Ukrainian winter," Hattrem said. "Norway is therefore providing 40m kroner in humanitarian assistance to help Ukraine in this difficult situation." Of this allocation, 20m kroner will go to the Norwegian Refugee Council, which is already engaged in humanitarian efforts in eastern Ukraine. The remaining 20m kroner will be distributed between the International Committee of the Red Cross (ICRC), the International Organization for Migration (IOM) and the Halo Trust (mine clearance) and Ocha. "The conflict in Ukraine is still very serious. It is crucial that all the parties abide by their commitments and work towards a political solution. This will be my message to the Ukrainian authorities during my visit," Hattrem said. 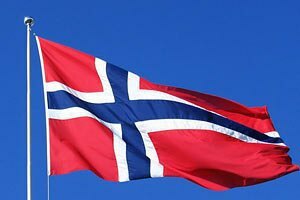 "Norway intends to be a reliable long-term partner for Ukraine. Nevertheless, our support is not unconditional. The future of Ukraine depends on it being able to implement far-reaching reforms. This is difficult in any situation, but particularly so when a country is facing armed aggression. Ukraine needs our support, but we must also set clear requirements for results," Hattrem said. Coalition faction head speaks of "100-per-cent political crisis"
The principle of reciprocity and the president's high demands often dictate the choice.